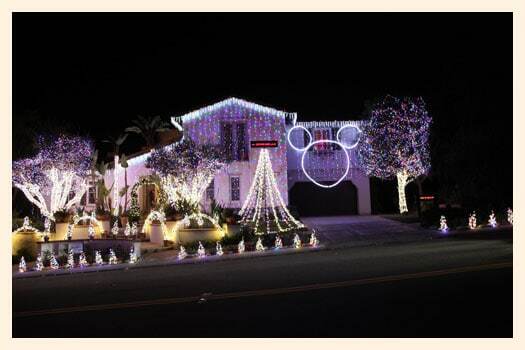 25473 Nellie Gail Road in Laguna Hills has one of the most spectacular Christmas light shows in Orange County. it features 812 channels of dancing LED lights choreographed to 18 songs and there are more than 100,000 glimmering lights that create this festive light display. three large trees in front of the house are decorated with over 3 miles of lights each, and the largest tree is wrapped in an amazing 4-1/2 miles of lights. one special feature of this Christmas light display is, that you can send a holiday text message to our guests that will appear on a 6 foot LED screen right in front of our light show as well as their website. 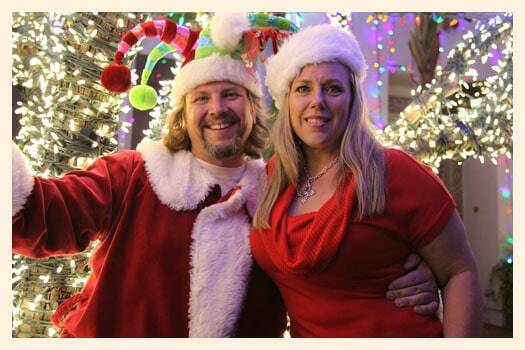 Andrew and Michelle Blount invite you to join them each night not only for the outdoor light show, but they also welcome guests into their home to view a Christmas Village Wonderland! 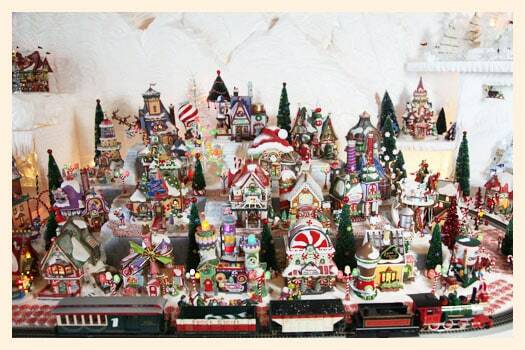 Michelle has spent hundreds of hours to hand sculpt the giant snowy mountains of the Christmas towns. each year she begins preparing the displays in August. her largest village is the North Pole featuring over 100 animated Department 56 houses, towering snow peaks, and even a waterfall. she also has a classic Bavarian style Christmas village also feature Department 56 house, a village dedicated to all things Disney, one for The Grinch, another featuring Charlie Brown, Rudolph and even a Christmas Carnival Boardwalk village. it is really a site to behold! and check out my boy’s favorite song of last year’s light display…it’s a Star Wars Orange County light show. more information about Nellie Gail Road in Laguna Hills Christmas Light Display.